Need a 24 Hour Locksmith in Sydney? Fusion Locksmiths are Sydney’s leading 24 hour mobile locksmith. With over one hundred 5 star reviews the company specializes in emergency locksmith requests for gaining entry in lockout situations. With our locksmith Sydney fleet of fully mobile service vans we are never far away. Once onsite we can provide a variety of locksmith services from key cutting, lock rekeying, lock repair and installation and more. Sydney is one of the most desirable places to live, not just in Australia but worldwide. And even though Sydney is ranked among the top 10 most expensive places to live in the world, this does not mean it has zero crime. Like other large cities around the world, Sydney’s crime varies between regions and suburbs. So as good practice we always recommended to have a thorough security check when moving into a new Sydney home or periodically every few years to ensure current crime trends are being protected against. With our locksmith Sydney services we improve people’s security making them more secure to break-ins and theft. Residents and business owners of Sydney have no need to fear when it comes to keeping their properties, valuables and loved ones safe. With a range of locksmith services on offer you may not even know what you need exactly. When this is the case, we suggest requesting a security audit on your property. 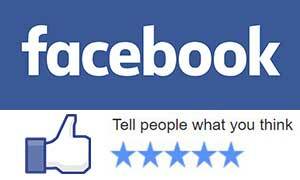 We only use and recommend reliable and durable security and lock products. These include Lockwood, Yale, Whitco, Zenith and Lane Security. There are plenty of lock brands on the market and new companies are entering all the time. To ensure your security is maximised for your budget talk with our professional staff. Installing smart locks for your home or business premises has many benefits. New technology in the security field are becoming more intelligent, practical and cost effective. Our professional locksmiths provide smart lock sales and installation when required. However as with all options they are not for everyone so best to discuss your concerns with our professional staff. Most commonly used as an alternative to replacing ones locks, the process of lock rekeying is a smart security improvement to any property. This service is often suggested when we come out to gain entry for your home when you have lost your keys and locked yourself out. If someone finds your lost keys they instantly have access to your property. Lock rekeying however renders the old keys useless. The gorgeous harbour city of Sydney boast beautiful weather year round. This attracts tourists from all over the world to visit for both short and long trips. Often confused as being Australia’s capital city, this stunning city is the largest in Australia. With so much to do and see from the stunning views in the Blue Mountains to the awesome beaches and parklands, Sydney truly has something for everyone. 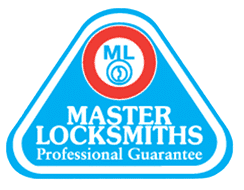 Regardless if you are a long time resident of Sydney or a travelling visitor to our great city, when you need a locksmith in Sydney make the right choice and choose Fusion Locksmiths. Call now or request your free quote online with our contact form.